Inspiration can come from the most unlikely of places. Many people go looking for inspiration, but many times, just allowing yourself to be in tune with things naturally will provide great inspiration. It isn’t necessary to have an epiphany one day to become inspired either. It can happen in the smallest ways and from the littlest things. 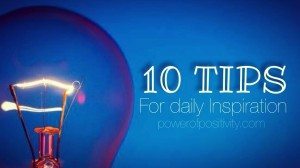 In fact, changing daily habits and committing to positive change can provide a lifetime of inspiration. Commitment is key! Though our lives are crammed with studying, working and dealing with errands and other headaches, taking the time to take a walk, breathe, and do nothing but enjoy the moment will make you a more relaxed and pleasant person, who is open to many different things. 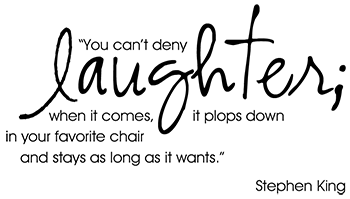 Laughter is the best medicine, especially for issues that common prescriptions cannot cure. Taking life less seriously and finding the joy and silliness in each day will inspire your personality and allow more positivity to flow in your life. Though multitasking can be seen as a strong point, doing too many things at once means that you are not giving your full attention to any of these activities. Keep your mind and space clean. Participate in one activity at once and allow yourself to live in that moment. Also, keep your home and work space clean. A clean space will clear your head and allow the creative juices to flow. Every life needs purpose and every day needs meaning. When you wake up in the morning, decide the purpose of your day’s course. No purpose is too small. If the purpose of your day is to remain positive or smile more, then that is an excellent place to begin with your inspiration. What are you watching and reading daily? Be sure that it’s positive. For instance, listening to the nightly news could be switched with watching a program on GaiamTV. 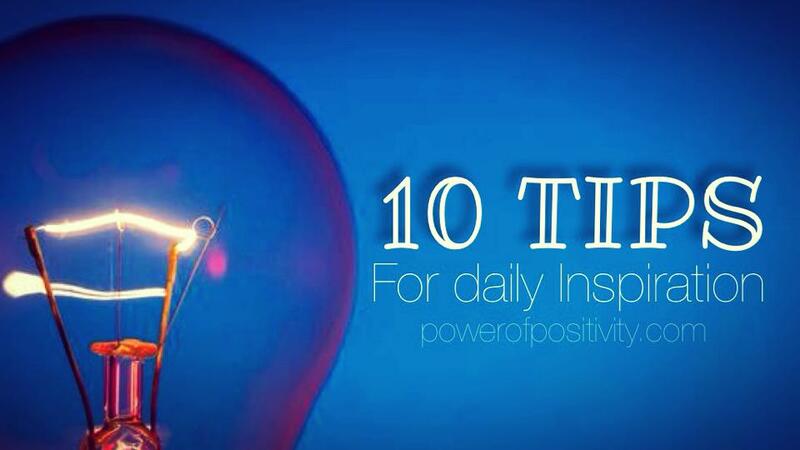 One great way to receive daily inspiration is to stay subscribe to Power of Positivity on Facebook. By becoming a fan and being part of this fast growing, positive community you will receive daily quotes of inspiration and connect with like-minded people any time. For some this is painting, for others it’s reading, meditation, or writing to name a few. No matter what your preferred outlet, do it daily or as often as you feel inspired. Actions that you participate in help define your purpose. Constantly participating in positive actions will help you become a positive person without thinking about it. You will never be happy or inspired by imitating or becoming someone else. Remain true to who you are and give the world the gift of your own personal inspiration and positivity. Do you have tips to add to the list? Let us know in the comments below!